Cleansing oils are by far my favourite way of removing makeup. They're the quickest and most gentle cleanser, that actually work in terms of removing eye makeup. 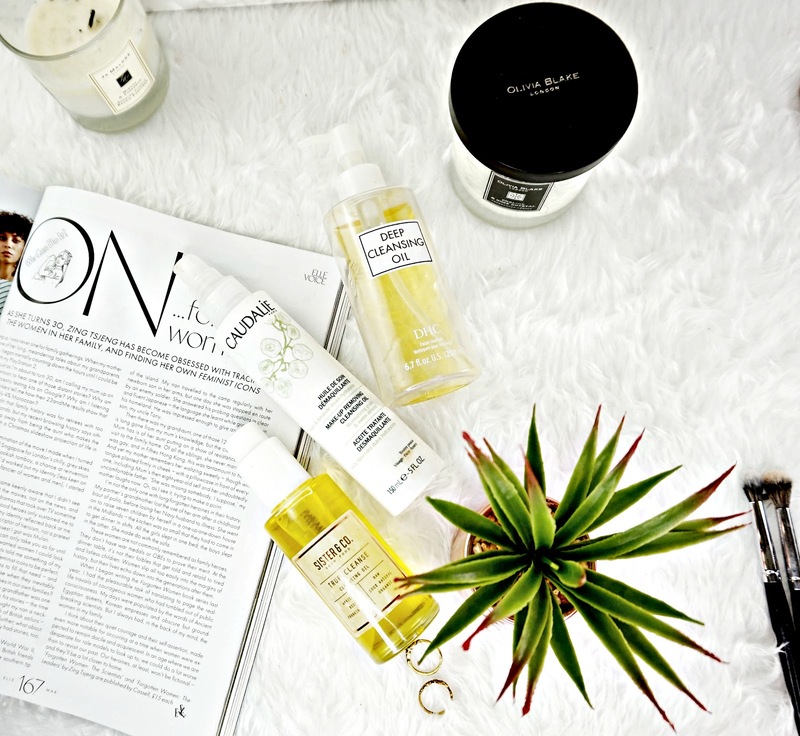 So today I have some amazing cleansing oils that are worth checking out. As you can see this oil is very well loved. It's an Olive Oil based cleanser that also contains Rosemary Leaf oil. Olive oil is rich in anti oxidants so this does have some long term skincare benefits. The oil itself, is odourless and doesn't sting my skin at all. I have quite sensitive eyes but I never had a issue with this. I like to massage one pump all over my face. It immediately starts to break down makeup. Waterproof mascara is no match for this either. When mixed with water it emulsifies into a light milk, that is really easy to remove with a flannel or cloth. It removes all traces of makeup in one go, without leaving behind any residue or film on my face. I really love this oil from Caudalie. It has a true oil consistency that has a lot of slip to it. It's really easy to move around the face. It pretty much dissolves all makeup, quickly and easily. Like the DHC it emulsifies into a light milk when mixed with water, taking away any makeup with it. After removing my skin feels so soft. It's actually really nourishing at the same time. It doesn't leave a greasy film either. It's a great all round makeup remover. Sister & Co isn't a brand I'd heard of until this oil landed on my door step, but I'm really intrigued to try more from them after this. First of all I love the packaging of this oil, it comes in a glass bottle that feels really luxurious. It has a really thin watery consistency, it's actually the thinnest of the 3 here. It feels so smooth and silky on the skin. It's a real pleasure to massage in. It melts away all makeup to. It does have a very light scent but this doesn't irritate my skin at all. Not even my eyes. When mixed with water it turns into a light milk that's easy to rinse away. This leaves my skin so soft! If you have dry skin I'm sure you will love this. Although it is suitable for all skin types. It's formulated with all natural, raw ingredients too. Overall, this is a firm favourite! I know some people are a little scared of using cleansing oils on their face but I've never experienced a break out from using a cleansing oil. I just find oils are the best way of removing makeup, I've become a little obsessed with them.